Jared Polis accepts the Democratic nomination to become governor of Colorado, June 2018. Since our article coining the phrase “the Delaware of Cooperative Law,™” the political and social context — in Colorado and the country — has changed significantly. 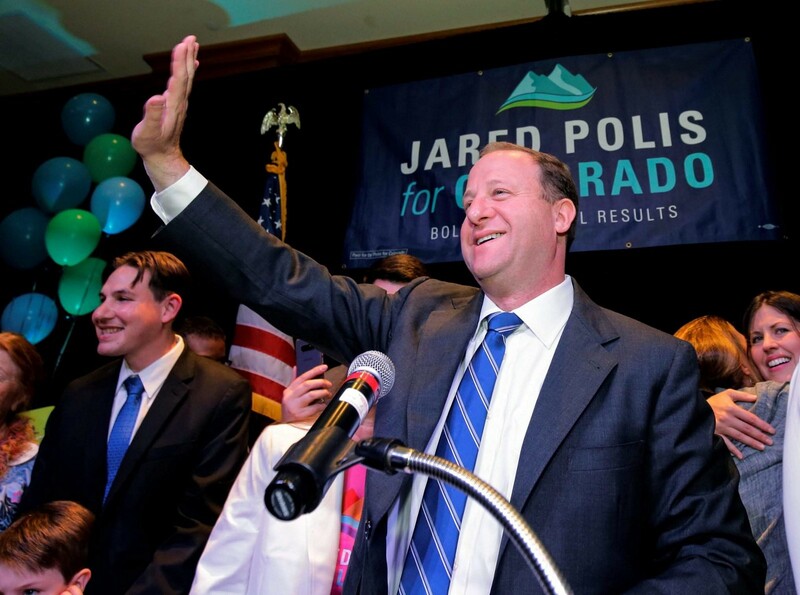 Jared Polis, a longtime champion for employee ownership, became Colorado’s governor in January 2019. Democrats are now in control of the Colorado legislature, in both the House and Senate. Nationally, the Main Street Employee Ownership Act has been signed into law. Small Business Development Centers and the Small Business Administration offices nationwide have begun convening employee ownership listening and training events. At the local level, economic development regions such as Region 10 in Montrose, CO, are spreading the good word about employee ownership in rural communities. It really feels like the wave of interest in employee ownership is converging with the wave of silver tsunami retirements at just the right moment. Governor Polis and his administration are wasting no time developing a robust framework to scale employee ownership in Colorado. Governor Polis and his administration are wasting no time developing a robust framework to scale employee ownership in Colorado. He has tasked the Office of Economic Development and International Trade (OEDIT), headed by Betsy Markey, with engaging stakeholders to develop a framework for employee ownership that could be a model for states around the country. Many in the Colorado employee-ownership and cooperative sector see this as a promising and exciting sign of increased enthusiasm for employee ownership as a valid business model. Particularly exciting is the administration’s plan, reported in the Denver Post (March 22, 2019), to establish a program for employee ownership within OEDIT. This initiative will raise the profile of employee ownership among the highest ranks of the executive branch and make significant financial, technical, and programmatic resources available to business owners looking to transfer their businesses to their workers. Leveraging the resources of OEDIT would help grow the marketplace for employee ownership and would reduce the cost of converting to, or starting, an employee-owned business. Following suit, just a few days after the Denver Post article came out, the Boston Globe reported the revival of the Massachusetts Office for Employee Involvement and Ownership and a $150,000 grant to the ICA Group and Working Wealth to spread the word about employee ownership — and its potential as an exit strategy for retiring business owners — throughout the Commonwealth. At a time when divisive national politics leaves many feeling discouraged, this “race to the top” has ignited competition among the states to rapidly and thoughtfully develop policy frameworks to support and preserve local jobs, reverse income and wealth inequity, and to exercise their role as laboratories of innovation to determine optimal policy approaches. As Colorado embarks on an ambitious effort to develop lasting and favorable programs for employee ownership, we are recommending the state establish a multi-stakeholder commission to analyze and recommend policies and programs, including objectives and metrics. As Colorado embarks on an ambitious effort to develop lasting and favorable programs for employee ownership, we are recommending the state establish a multi-stakeholder commission to analyze and recommend policies and programs, including objectives and metrics, to OEDIT and lawmakers. The commission appointees should include leaders of employee-owned businesses, employee-ownership experts, researchers, technical assistance providers, lenders and financiers, and policy experts. Other states, like Massachusetts, could establish similar commissions to consider key policy reforms. Among the recommendations we are making for Colorado are reforms in tax policy, financial and technical assistance, state procurement policies, and legislative and regulatory changes, all designed to incentivize employee ownership. Here are a few of the ideas we think the Colorado commission (or any state legislature or agency overseeing employee-ownership related activities) should consider. Tax considerations could include an exemption on state capital gains tax on the sale of a business to employees, a state income tax deduction or credit for grants of company stock to employees, or perhaps depreciation-related tax benefits to employee-owned businesses. The state could set up a loan fund or provide loan guarantees for business conversions, fund training for professionals and business brokers on employee-ownership models, and design metrics and objectives for grants for financial and technical assistance providers. Through purchasing set asides, the state could incentivize procurement from employee-owned businesses. The state could develop a program that measures municipal and community policies regarding employee ownership, recognizing high-performing communities. Colorado already has some of the most favorable laws for employee ownership entity structures in the country. We, however, would like to see a change in Colorado’s trust statutes to become one of the six or so states that permit non-charitable perpetual purpose trusts. We also are proposing some state securities registration exemptions for certain types of transactions involving employee ownership. With state leadership driving these employee ownership policies and programs, engaging business and community leaders in promoting employee ownership, and creating a framework for expanded knowledge about, and use of, employee ownership business models, Colorado is poised to become the nation’s leader in scaling employee ownership. Jason Wiener and Linda Phillips are attorneys with Jason Wiener |P.C., where they provide legal and business consulting services to entrepreneurs building social mission enterprises. Their services include assisting companies that wish to democratize ownership and governance structures. For more information, contact info@jrwiener.com. Fifty by Fifty, an initiative of @Democracy Collab, is working to transform the U.S. economy by growing employee ownership. Join our campaign, and we’ll send our monthly newsletter, filled with great company stories, right to your inbox.